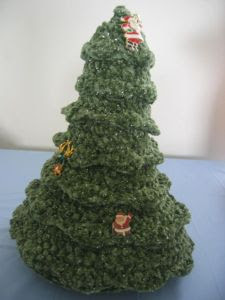 Little Christmas Trees look adorable as they decorate your home! I can think of so many ways to make this tree your own! Try some different colors or add some metallic thread!